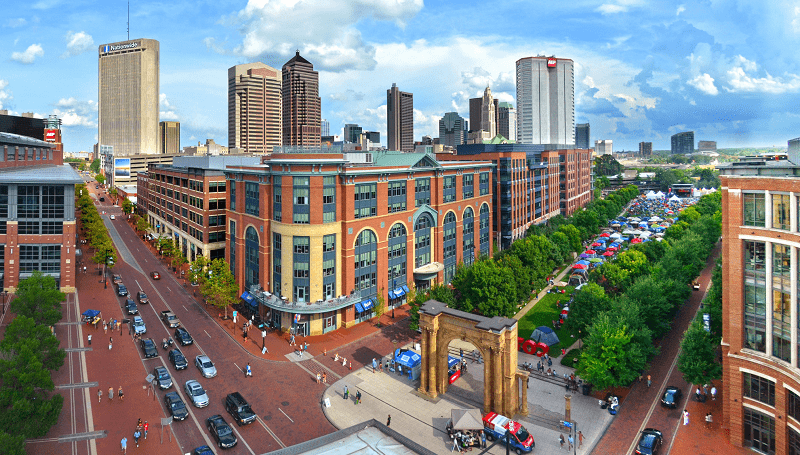 Located in the Arena District in Columbus, Ohio, Parks Edge is situated between McFerson Commons and North Bank Park. It began with a 12-story, 69-unit condominium building and attached parking garage, and now includes a second building to the East comprised of 12-stories and 82 units. Parks Edge features breathtaking views of the downtown Columbus skyline and river. Residents enjoy a rooftop pool and hot tub, sun deck and covered kitchen, a social room with fireplace, bar and kitchen, guest suite, fitness center and more. Your lifestyle has an address, make Parks Edge Condominiums your home. Are you ready to live luxuriously? Parks Edge is comprised of one-, two-, and three-bedroom flats and two-bedroom townhomes. Search by unit type, price range and/or square feet, to find your perfect floor plan.